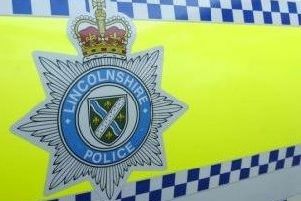 A Horncastle man with ‘mental health and alcohol issues’ stole cider on three successive day from a town-based supermarket, a court has been told. Gary Race Gosling,27, of Queen Street, admitted two charges of theft and one of attempted theft of cider from the Co-operative store in Conging Street when he appeared at Skegness Magistrates Court on Tuesday. Phil Howes, prosecuting, said that on three consecutive days from July 14-16, Gosling entered the store and took two bottles of ciders, worth £5. Mr Howes said that on the first occasion, Gosling left the bottles behind. On the second occasion, he took the bottles away and on the third, he was spotted in store trying to steal bottles and was stopped by store staff. Mr Howes added that Gosling had been convicted of 24 criminal offences involving assaults, burglary, theft, damage, drug possession and drunkenness during the last 14 years and was in breach of a conditional discharge imposed in February for being drunk and disorderly. Gosling, who was not represented, said he did regret what he had done. He told the court: “I now avoid the town centre by walking a quarter of a mile round. “I’m getting older and beginning to realise what people think about me. He was also ordered to pay £5 in compensation.